There’s a lot going on when you are getting ready to move. Hiring the right moving company is a very important decision. It can mean the difference between having a smooth, uneventful move and complete disaster that you read about in the papers or watch on TV. Below great list of questions you should ask every moving company you are getting estimates from. Make sure you get as many of these questions answered in writing on either paper or in an email (or even a text). Will they come out and do “in home estimate”? Most reputable companies have sales staff that does in home estimates. This is always a great idea because the person that sees your home can determine if they’re going to be any extenuating circumstances that might make the move more difficult and more costly. They should also be able to go by the new residence or by talking to you determine if there might be problems with the delivery at the new place. Is there a charge for stairs? Is there a charge for heavy or awkward items? Is there a charge for disassembly/ assembly of furniture required for moving? Do they have their own tools? Do they provide moving blankets, shrink wrap, floor runners? Is there an extra charge for basements or from a garage or shed? Can they provide a list of charges that may become extras? Again…get it all in writing! Ask them about their equipment. Professional movers will use a special moving van that has either a powered lift or a proper moving ramp. Seems obvious but ask them if they have a ramp. If they have to lift your items way up onto a high deck, there’s a great chance your items will get damaged. A moving van usually has a side door to load from the curb. This save lots of time and is easier to use in tight spaces. They should also have proper moving dollies that they can use on stairs. They should also have shoulder straps to carry heavy items up and down stairs. Ask them how many men will be coming to do the move and what is the additional labour rate for another person in case they need more help. Ask to see a copy of their workers compensation insurance. If they don’t have insurance, don’t even consider using them. If one of their laborers hurts himself on your property and he is not covered by the company, you become liable. Do they have content insurance in case they break something in transit…how much is the coverage for and what is the deductible? Ask for references. Do they have any testimonials? Have they worked in the area? How long have they been in business? These may seem like an exhaustive number of questions but any reputable moving company will be willing ready and able to answer all these questions. If the person on the other end doesn’t like your questions or doesn’t want to or can’t answer them properly, try someone else. Often time movers advertise a very low rate. It’s basically just to get you to call them. However one you start hearing there answer, you may be getting another price quickly. Nowhere is the old saying of “Price vs. Value” more relevant than moving. What good is a cheap initial price if you get lots of additional charges? Long Distance moves have additional questions you need to ask. Many of the questions above are still applicable and should be used. Ask for everything in writing, email or text (again this is very important if you need to document your case). How is their estimate derived? Is it by the pound or volume? This can make a big difference as my couch could be made of feathers and yours could be made of concrete. Most long distance moves are based on weight as the trucks are limited to how much weight they can carry. Ask to see the “certified Weigh Scale”. Ask about their insurance. How much are your goods insured for? What is the deductible? Can you buy additional insurance? Get an “in Home Estimate”. This is particularly true for long distance moves. The company will want to inspect your things so they know what the weight, value, size of truck and number of workers to send. The moving companies are also obligated by law to be within 10% of the actual estimate. This means that if they miss guess the estimate they can only go over their estimate by a maximum of 10%.If the company wants to just give you a quote over the phone. You should try other companies. Is the company you hired going to be the ones that show up on moving day or do they sub contract out to other carriers. This is important because if something does happen then you are dealing with two different companies and you have no control over the sub-contractor. Is the same company going to be the one delivering your goods? Does the company provide a labeled inventory of items moved? While it’s a good idea to make your own inventory or even take picture of each room, put them on your cell phone so you can show them to the movers on the delivery day. Most reputable movers have an inventory label system whereby they stick a numbered liable to all your items and then record these numbers for each room. This way on the delivery day they check off all the inventory items so everything is tracked. Ask the company about their “Replacement Value Protection”. Get this in writing. Ask about options for purchasing additional replacement protection. If you don’t, the company is only responsible to pay $.60/ lb for any lost or damaged item. 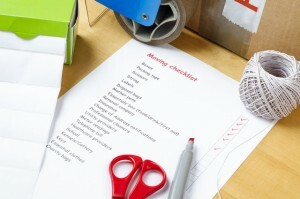 Ask the mover about coverage on items you packed yourself versus items the company packs. Ask about the truck they are going to send. Will it fit in your location for both pickup and delivery? How long will the move take? Will the truck be parked in secure facility overnight and if your items have to be put in storage, does the company have a relationship with the storage facility. Is it secure? Where is it and contact info should be provided. There is some great information that the Canadian office of consumer affairs has put together that can be found at http://www.ic.gc.ca/eic/site/oca-bc.nsf/eng/ca02030.html. Do as much research as possible, ask lots of questions, get them in writing, ask for references and do your homework. It will make your move a smooth one!